Anomaly’s horrific dream is realized when the O.T.A.C. virus changes nearly all flesh and blood on Earth into cold hard steel. 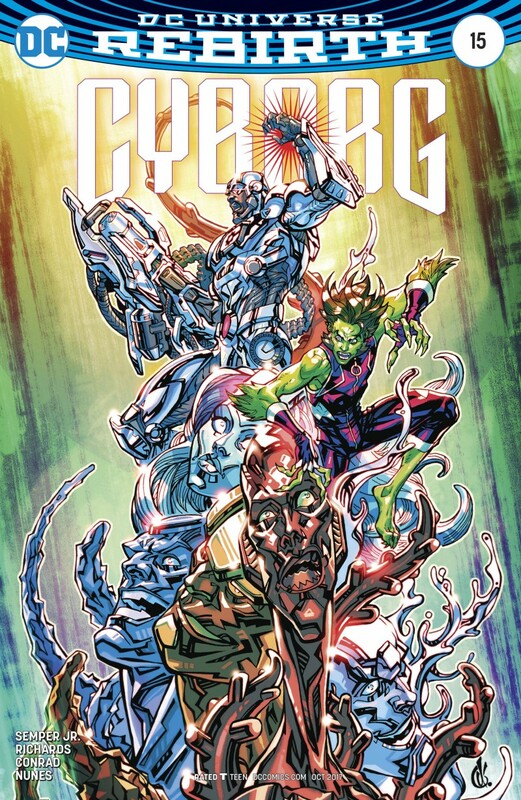 Now humanity’s last hope, Cyborg, Beast Boy, and a band of rebels led by Vic’s mother, Elinore Stone, embark on a suicide mission to find the cure. Their first obstacle? The infected super-scientist Doc Magnus and his newly twisted robot army, the Metal Men!